New to the market is this brick and tile five bedroom home with two bathrooms, large lounge and modern kitchen. There is also a converted single garage with bathroom facilities. Positioned in a fast growing suburb within walking distance to Newcastle University, public transport and fifteen minutes to the CBD. On entering the home there is a large lounge area with a split system air conditioner, new carpets and fresh paint. Off the living area is the modern kitchen with modern appliances, open bench space & room for dining. From the kitchen is the laundry with a second bathroom and direct access to the yard. All bedrooms are a good size and have ceiling fans. Bathroom facilities with separate shower & full size bath have been refreshed and are centrally positioned near the bedrooms. W.C is separate. 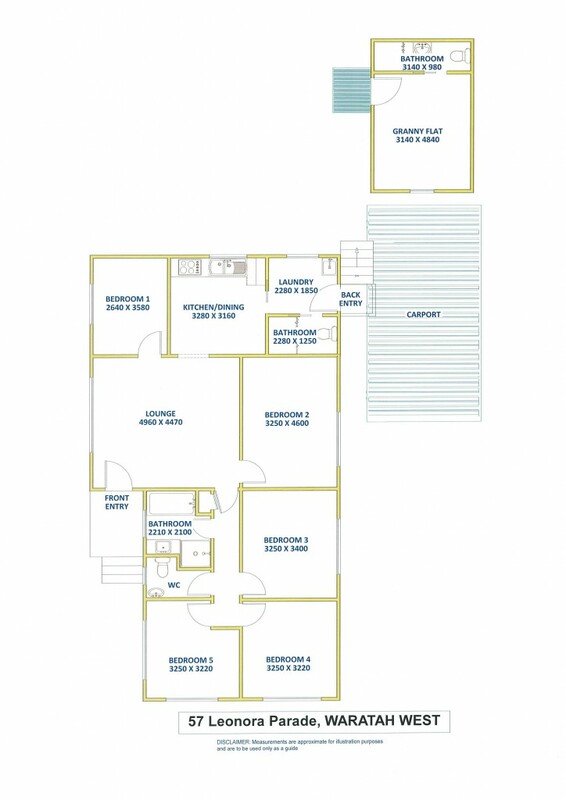 The yard is fully fenced with 3m high carport & the single garage is lined and has an ensuite style bathroom. Various options are available for this area. Brick homes which are true five bedrooms are hard to find in this area. Positioned close to the University, Allowah reserve on the next corner and Waratah hospital a couple of streets away with links to major roads available. If you have been looking for that perfect family home or prime investment property then this is worth investigating.